No amount of pain-killers will remedy those. If you are seriously suffering from back or sciatic pains, then you should stop any exercise for the time being, stop consuming pain-killers, and you should try to see your chiropractor and ask for an advice. It is imperative that you start treatments as soon as possible. Back pain can be muscular with joint fixation. But can it be disc related condition. The latter can lead to tingling sensations, then numbness, weakness and pain. In my experience as a chiropractor, I found many sciatic and back pains come from muscle spasm of hip and leg. Thus get it fixed before these suffering muscles cause you more severe problems. Chiropractic treatment of the spine (where needed) and deep tissue treatment will help by remedying muscle and joint tension very effectively. Neck pains tell us a lot about ourselves: how we sit, stand, sleep and how we keep our head position while at work. Many people have so called forward head carriage, causing very tight neck and shoulder muscle pain. It is all due to our modern working habit (too many screens in font of us, too long driving hours). Occupations at risk are many: dentists, artists, cyclists, computer operators, accountants, musicians, fast-growing teenagers and any and all labor workers. Regular deep tissue treatment with chiropractic adjustment will reduce muscle tension over shoulder and neck, and also increase flexibly to the joints which will reduce accumulated pain very effectively. Most of us might believe chiropractic is only for pain sufferers. But its not true. Even in old days of Imperial Rome or China, emperors and governors, consuls, generals and even captains always have best doctors around them to maintain their health as optimum as possible. And together with them, their families. That is what a chiropractic wants to be for you, and your family. Do you want your family to be healthy and happy without too much stress and pain? Do you have a fast-growing child that exercises a lot and plays football? Or another child interested in ballet? Do you suffer from sleepless nights trying to get work and family obligations done? Or do long driving hours make your arms and shoulders numb? You had a recent bicycle accident? Or twist of ligaments because of too much gardening, or house painting? Chiropractor is something like a family member, that is there for you help you and your family when other members cannot. We are here for you. If you are sports person and are active in many contact sports (all martial arts sports, football, wrestling, basketball, handball, etc.) repetitive sports (biking, swimming, athletics), or endurance training, then with chiropractic treatments you will get extra benefit on your performance. Thanks to chiropractic treatments, benefits you feel are not only more endurance due to lesser strain, but also lessening of potential problems. For example, neglect of your tight muscles and joints will lead to fast wear and tear. Faster wear and tear may cause minor trauma to muscles, which (when repeated) inevitably affect your performance, and health. 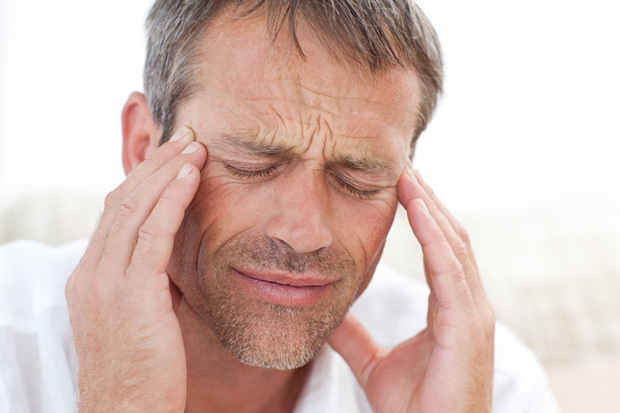 Migraine is a type of very strong headache. Sometimes this headache comes with nausea and with visual disturbance. When it happens, feel your neck (back part); you will find neck is tender to touch, or very tight. In many cases, muscle tightness has been built up for many years. The cause is the wrong head posture, which compresses the nerve and blood vessels that travel all over your head.